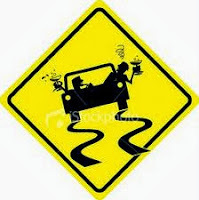 by Rod Williams - New Year's eve is the favorite day of the year to drive drunk. A lot of people who do not normally go to bars and drink will be out drinking and going to private parties and getting drunk. Getting drunk on for New Year's Eve is a tradition. Unfortunately, a lot of those people who get drunk will be driving and a lot of them are amateurs at driving under the influence. This guide from the Rod Williams School of Drunk Driving is provided to help you improve your drunk driving skills or think about alternatives to drinking and driving. (1) Don't Drive drunk. That is the number one rule: don't do it. Getting arrested for drunk driving is only one reason not to drive drunk. The most important reason is you could kill yourself or someone else. If you are lucky and don't kill someone else or yourself, getting arrested for drunk driving could cost you your job, your election, your social standing, custody of your children or visitation rights, a lot of money, and maybe your marriage. If you overindulge, there are alternatives to driving drunk. Take a taxi, get a hotel room, call a friend or family member and ask them to come get you. If at a friend's house and you have had too much to drink, stay the night. Use the ride sharing services like Lyft and Uber. These services are cheep, fast, and convenient. To use these services you page a ride using your phone. To do that you must first download an app. Don't wait until you're drunk to try to download the app. Here is a link to the Uber app. (2) Pick the designated driver before you start drinking. 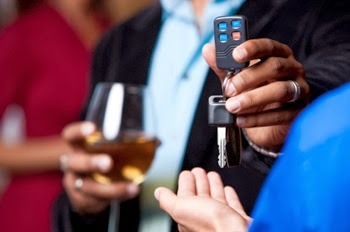 If you are not going to rely on a commercial service such as a cab or Uber, and you know you are going to be drinking and you are going with other people, then have a designated driver. I prefer being the designated drinker, but someone needs to be the designated driver. Despite the above advice I know there will be times when a person will have had too much to drink and not think they are too drunk to drive but will have had a sufficient amount of adult beverage that they could register drunk even though they don’t think they are drunk. 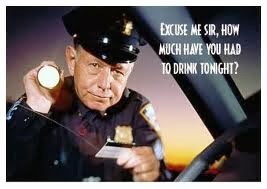 I myself have probably driven many times when I would have registered drunk had I been stopped. I am not by any means advocating driving drunk, but if you are possibly driving impaired I am providing these below tips to help you increase your chances of getting home safely without getting arrested. (4) Track your consumption and don’t have “one for the road.” That is what often happens. If during the evening you are having dinner with friends and you have a pre-dinner cocktail and wine with dinner and an after dinner liquore with coffee, and a champagne toast, you might register drunk. Try to keep your alcohol consumption to a level that falls below the BAC limit. On occasion, but not as often as I would like, I like to go to Lower Broadway to listen to live music and party. 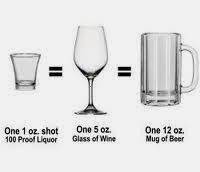 If I have 8, 12-ounce beers in a four-hour period I should have a BAC of about .068, however if I have 9 beers in four hours that means I have a BAC of .085 and am legally drunk. “One for the road” could put me over the limit. Actually, I seldom have eight in a four hour period, but it has happened. A female can drink less than a male and a slender person can drink less than a heavy person. For a 115 pound female, three glasses of wine in two hours is drunk. Don’t try to keep up with the other people in your party. Know your limit. Skip a round. Drink slower. Some people assume that wine is less inebriating than tequila shots. That is not so. A 12-ounce beer, 5 ounces of wine, or 1 ounces of 100 proof distilled spirits have the same impact on an individual's BAC level. Here is a calculator that will give you guidance on how much alcohol you can consume and an estimate of BAC. Please be aware that this is only a guide. If you are drinking on an empty stomach, your BAC may be higher than indicated in the calculator. (5) Point your car in the direction of home. Plan your trip. A good car should be able to find its way home, with a little help. Avoid places where the police might see you. In the days before Uber and when you could still park on Broadway, I would visit the honkytonk strip of Lower Broad. I never would park on Broadway, however. I live on the south side of town, so I would park a block or two south of Broadway on one of the one-way streets heading south. That meant I did not have to circle a block and be concerned about traffic lights and stop signs. The less exposed one is to the police the less chance one has of getting caught. It is worth parking four or five blocks away to reduce your exposure. (6) Be aware that you are impaired. If you didn’t keep track of how much you drank then assume you are may have had enough to register drunk and use your best drunk-driving skills. "Thinking" skills, like perceiving and evaluating risks, or processing information are not easily visible to outside observers, but they are the first skills to be adversely affected by alcohol. Be aware of this. (7) Stop the Party. You are having a good time. You are joking and singing and laughing. You hate to end the party, but if there is any chance that you are driving with an elevated BAC, then stop the party. Say, “OK folks, we need to straighten up. I need your help in getting us home.” Don’t sing or engage in distracting conversation. Turn off the radio. Don’t talk on the cell phone. Give driving your undivided attention. Don’t let anyone in the car have an open container. You may be perfectly capable of driving, but if a drunk passenger is yelling out the window, the police may stop the car and give you a drunk driving test. The moment you get in the car the party is over. (8) Check the checklist. Have a mental checklist. You don’t want to get stopped because you failed to use your turn signal. 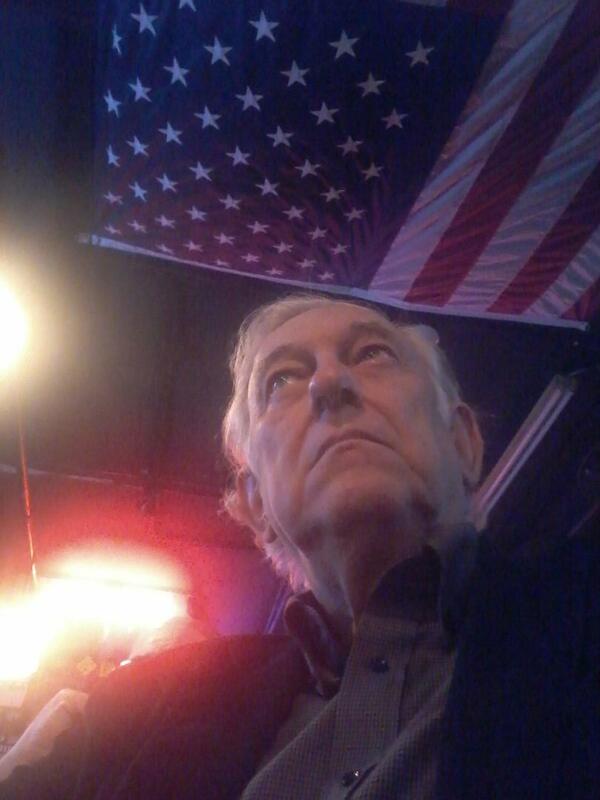 I was once stopped by the police on lower Broadway and forced to take a Breathalyzer. I knew I had only had two beers in a two-hour period so I was not concerned. The reason they stopped me is that I had not tuned on my headlights as I pulled out into the street. This was in a previous car, years ago when headlights did not turn on automatically. The downtown area is well lit and this was just an oversight. The police are looking for excuses to stop you; don’t give them one. Seat belts? Check. Adjust the mirror? Check. Turn off the radio? Check. Turn on the headlights? Check. (9) Do not commit other crimes while driving drunk. If stopped for suspicion of drunk driving, don't compound your problems by being arrested for drunk driving and somethings else. Don't smoke dope while driving drunk. Don't get arrested for drunk driving and for speeding, or possession of a controlled substance, or contributing to the delinquency of a minor, or soliciting prostitution. One crime at a time! (10) Concentrate; pay attention. Be aware of your driving. Don’t relax. Keep both hands on the wheel. Don’t be distracted. Don't answer the phone. If you feel you must answer the phone, safely pull off the road. Don't even engage in conversation. Make sure you do not weave. Are you staying within the lines? Drive just below the speed limit. Don’t tailgate. Pay attention to the car in front of you. If they put on their brakes, notice it. If you are approaching an intersection with a traffic light, pay close attention. Plan that traffic light stop. Don’t run a yellow light. (11) Use your co-pilot. Ask the person in the passengers seat to help you drive. Ask them to tell you if you weave or tailgate or go too fast. Make them pay attention to your driving. (12) If you get stopped. Unless you are certain that you have had less than the number of drinks it would take to raise your BAC level to the .08 level, then common wisdom holds that it is a good idea to refuse the breathalyzer test. It generally is more difficult to convict a driver of drunk driving if no chemical tests are taken. (13) Use your influence to get the charge thrown out. Be a State Representative or other person (link) with important friends who can get a judge to throw out the charge based on lack of probable cause for making the stop. 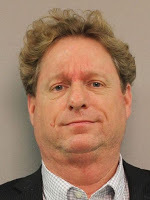 Despite the police seeing you drive with wheels over the lane line and observing the smell of alcohol, slurred speech, and inability to walk straight and a despite the arresting officer saying you were "absolutely hammered," the judge may rule the arresting officer did not have probable cause for making the stop. This is an additional tip suggested by a student of the Rod Williams School of Drunk Driving. (15) If you are seeing double, close one eye. I have never been arrested for drunk driving but I admit I have been guilty of it. I guess I have been lucky. As a young adult I was more often guilty of it than I have been as an older adult. Nevertheless, from time to time, I still have probably technically met the blood alcohol level for being drunk. Stay safe. Don't drive drunk. Drive careful. Happy New Year's.